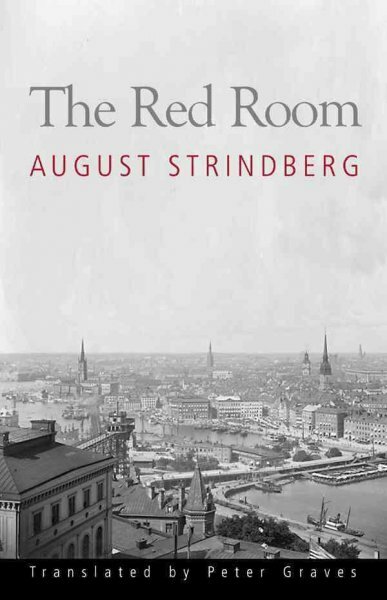 Thanks Max: I’ve seen a couple of Strindberg plays performed and enjoyed them. Just bought this (with a different translator). Not sure I have seen any of the plays, though I understand that’s where his main talent lay. Let me know what you think when you get to it. With your greater exposure to 19th Century fiction you may well spot angles or connections that I didn’t. I’m glad you enjoyed it. I agree with what you point out in your review, both on the description of the society and its components (politics, economy…) and on the style of the novel. If you enjoyed this one and the irony of the parallels with our century, read Money by Zola. Stunning. I don’t have the impression that the free translation is a bad translation, if that helps. Rather my impression is that the new translation which I read is thought to be a good modern translation. It worked for me, anyway. Money is definitely on the list, but I need to read others in the sequence first don’t I? Where does it appear in his cycle? Tomcat, thanks, it’s only 300 pages which for a state of the nation novel is practically a novella. If only more authors writing that kind of book followed his lead. Good review. Lots of astute connections made. I know there’s a relentless publicity machine behind, say, a Salter, Knausgård, A.M. Homes or Zadie Smith title. But still – given the number of decent titles & mid-list authors available, it’s disappointing that the various publications don’t think more independently when commissioning reviews. There are some fine exceptions, e.g. The Guardian’s ‘Overlooked classics’ & ‘Lezard’s Choice’ series. Otherwise, the surprises, the unexpected new (to me) book finds, tend to come from informed commenters online and from informed book blogs like this one. Thanks AggieH, those quotes are very much in line with his views in this book. I’m not a reader of plays – I struggle to inject the bare words with life (odd since I’m a reader, but there you go). I’ve missed the recent London production of Miss Julie, but next time it’s on I’ll seek it out. Lezard is a fine exception, but otherwise I recognise what you’re talking about. I don’t speak Danish (even if I look Danish, which apparently I do, though possibly even more Norwegian), but there’s a similar phenomenon in the UK where books are reviewed often from proof copies long before most readers have any access to the book. The (not wholly true to be fair) impression can be of an insular literary club, talking to itself about the same stale topics. Given how exciting literature can be that’s criminal, worse given those giving that appearance each went into that life from love of the form. Salter merits attention (though not perhaps for his latest from what I hear), but so do so many others, published, unpublished and once-published but now forgotten. Strindberg is right on the money here. Stu, that’s what I love about going back to works like the Illiad. It’s full of gods, war, codes of honour and behaviour we don’t possess, but it’s also full of people and through 3,000 or more years people haven’t changed. We remain on the same merry go round we always did, we just give the horses a fresh coat of paint from time to time. Emma, thanks, I have a planned next Zola but will bump Money up the Zola queue. I don’t have the impression a strict sequence is required. Might put The Kill ahead of it though from what you say, it doesn’t sound like doing so would be any hardship.